Coolant is distributed to the cylinders via an external coolant manifold. Our coolant manifold is the essence of both simplicity and reliability, incorporating a modular design utilizing a minimum number of components for both the inlet and outlet sections of the manifold. The modular design allows the same parts to be used to create a coolant manifold for 4, 6 and even 8 cylinder engines. 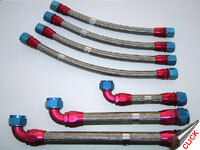 The coolant manifold is comprised of 'T' fittings, intra-cylinder transfer tubes and AN fittings. The coolant manifold is designed to accommodate inter-cylinder movement that results from both thermal expansion and engine case flex without leakage occurring and also without incurring any repetitive stresses in the components that could result in fatigue failure. Conventional AN fittings are used to connect flexible hoses between the Coolant Manifold and either the Coolant Pump or the Thermostat housing. 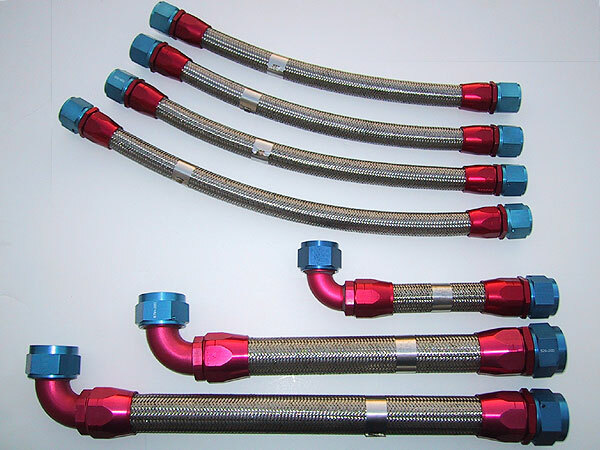 Additional flexible hoses are utilized as required to connect the Thermostat housing and the Coolant Pump to the heat exchanger (radiator). Hoses are TSO-C53A certified Aeroquip or equivalent. 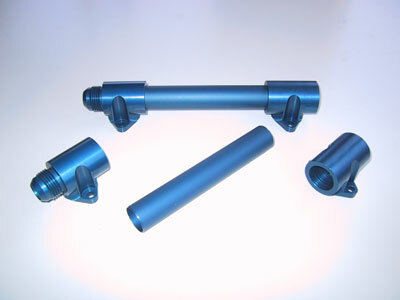 Each of the fluid fittings is machined from billet, 6160 T6 hardened alloy and are annodized in a variety of colors (clear, black or blue) to provide an anticorrosive finish.